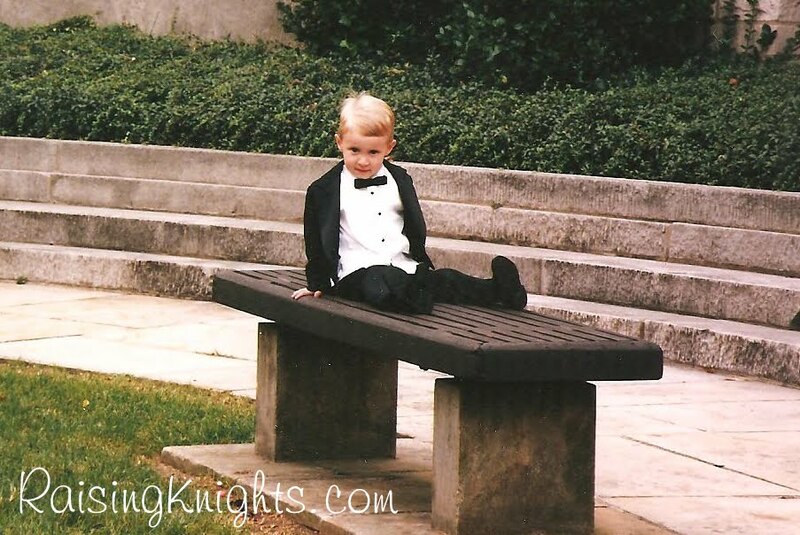 Wordless Wednesday #16 - "Seventeen"
We celebrated our first-born's 17th birthday this past weekend. Time does go by in the blink of an eye! Linked to Mama to 4 Blessings, Mommy Head Adventures, Not Quite Susie Homemaker, and Shining 2 Save. Are you a homeschooler, teacher, daycare provider, a parent of a special needs child, or just a parent who likes to do fun, educational activities with your child? If you consider yourself the last one, you're a homeschooler too. ;) Then you may already know about Discount School Supply. If you don't, I suggest checking it out. They have tons of art supplies, wooden bookshelves, puzzles, puppets, dress-up, sensory toys, Lego and Duplo sets. 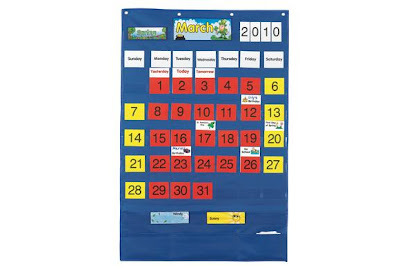 You'll also find everything you need for homeschool and classroom organization. Right now, you can get 20% off of EVERYTHING through July 25! Use the code TWENTYEV when you check out. And you get free two-day delivery on all orders over $79! I recently purchased the wall calendar pictured below and am planning to have calendar time with Isaac and Levi. Carisa at 1+1+1=1 has a great idea for adapting your calendar time to teach multiple ages. Another educational idea I would like to implement for my younger ones is sensory boxes or tubs, like the ones at Counting Coconuts. 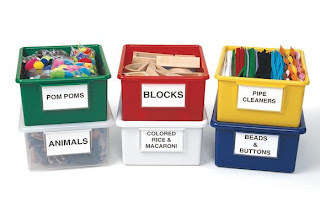 The Easy Label Teaching Totes below would work well for those and for organizing our educational and art supplies. Miles loves to look at pictures and I have looked at many different fabric toddler photo albums. I'm considering getting this one. 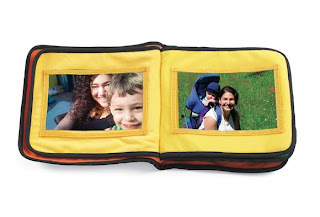 It's simple, colorful, and holds 13 pictures. 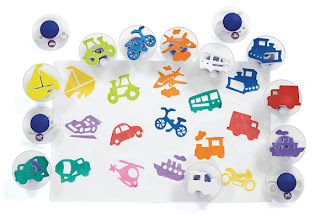 When I was organizing our toddler room at church a couple of years ago, I ran across Viking Toys' Chubby vehicles. All of the kids loved them. 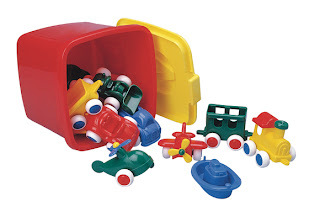 A bucket of 15 was barely enough for a half dozen toddlers because they all wanted several so they could connect them. This bucket is perfect if you only have one or a few little ones. Of course, Levi wanted to take them home too, so I bought a few for him and now Miles likes to play with them. I usually shy away from a lot of plastic toys but I really like these. The wheels are rubber, roll smoothly, and are attached well. There aren't any sharp corners and since they are hollowed out underneath, they are easy to wash and play with in the tub without worrying about them holding water and getting mildewy. They are also just the right size for chubby little hands. 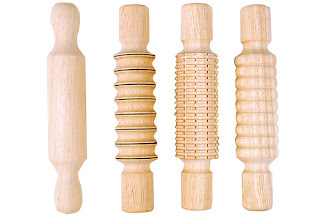 One more thing I'm interested in getting is this set of Textured Dough Rolling Pins made of hard wood. 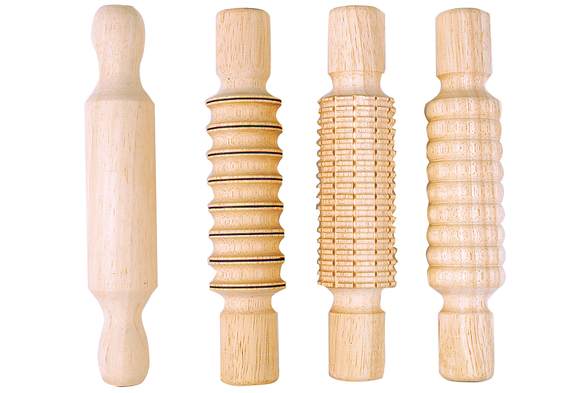 The boys love playing with our homemade play dough and these rolling pins would be a great addition to our collection of tools. Have you purchased anything from Discount School Supply yet? What did you get? If not, what's on your wish list? Disclaimer: I did not receive any compensation to write this post. However, I am an affiliate and will receive a small percentage of any future purchase made through the links above. The following recipe is one I have had for many years. Along the way, I have made healthier substitutions resulting in a moist, nutritious, dairy-free, whole-grain muffin made with healthy fats. This is a great way to use those over-ripe bananas sitting on your counter. *Note: If using honey, reduce oven to 375ºF. As long as you don't double the recipe, you may not have to adjust the liquid amounts because of the honey. If you increase the recipe to require at least one cup of honey, you'll need to reduce the milk by 1/4 cup for each cup of honey. Linked to Simple Lives Thursday and Tuesdays At the Table. This is the moment I have put off as long as possible with each of my boys...the first "real" haircut. I usually give little trims as needed, but there comes a time when Papa Bear says, "He looks like a girl. He needs a haircut." :( So, when I took the hobbits to the barber shop a couple of days ago, I decided it was time. The only way M2 was going to cooperate was by sitting in my lap. By the time it was over, we were both covered in hair, but he did well. LJ...well, that's another story. Let's just say that he started crying as soon as we pulled into the parking lot. He'll keep his shiny golden locks 'til another day. Good-bye, sweet shiny baby locks of hair. Do any of you boy moms dread the first haircut like I do? Do you miss the wispy, flippy baby locks on your little boys?